Do I Practice What I Preach? Confessions of a Busy Entrepreneur. It’s been an interesting experience to promote a book on satisfaction as an entrepreneur during what is hands down the craziest time in my life professionally (and personally too). We have been working ourselves to the bone. And for the first time in a long time I’ve compromised on something I rarely ever do…sleep. Long ago I swore to myself that I’ll never pull all-nighters like I did in college again. And while I’ve stuck to my guns (without hesitation) on that, I’ve been turning off my computer way too late on too many occasions. Perhaps it is to be expected…in addition to promoting The Big Enough Company, I am producing a ton of written content, running a business, running a household, managing a complicated 3 stage move for my family which begins in November and ends in May and whose final destination won’t be revealed until March, raising my daughter, and planning for a new baby in January. I (for the most part) chose all of these circumstances and I (for the most part) am excited about all of them…truth be told the move is a little bit of a mixed bag. But given my circumstances I find ironic to be writing articles about how to avoid exhaustion and burnout as an entrepreneur. More than once it has made me question my own credibility. Who am I to be doling out advice on how to “create a business that works for you” when my own life resembles a three ring circus? It is these moments when I have found myself taking my own advice. It has actually been quite helpful to have the lessons of The Big Enough Company close at hand during this exciting and challenging time. First and foremost, I remember my original motivation and think about WHY I’m doing this. I was desperate to get my own view and perspective on entrepreneurship out there in a big way. I was tired of so many entrepreneurs being totally disenchanted with their experiences and failing to take full advantage of all that entrepreneurship has to offer them. I was sick of so many amazing and innovative small businesses being discounted because they weren’t “big enough” to matter. I was fed up about all the advice out there that encourages entrepreneurs to grow their companies in one way: fast and furious. I wanted to write a manifesto that would allow me to connect with the entrepreneurs who wanted to look at things differently. I wanted to create a community around this concept of “big enough” and include their stories in the text. When I think about all this I’m instantly energized and full of purpose. To me, this work matters. Secondly, I remember the goal that I have with the book specifically – to broaden the conversation about what success and entrepreneur mean and to talk to as many people as I can about what it means to create a business that works for you. I also remember that I wanted to create more writing opportunities for myself (check) and more business opportunities (check). I also remember that my situation doesn’t need to work for anyone but me. I’ve made the decisions I have for a reason and I’ve made the compromises that I have for a reason. My absence of guilt or anxiety over the way I’m spending my time is evidence that the formula is mostly right. My fatigue tells me that it’s not sustainable in the long run, but that’s alright because we aren’t planning on keeping up this pace forever. I will choose not to let this be my new normal. I will choose to make this a time-bound experience. I make a note to be very stingy with my time for the first quarter of next year. I will need rejuvenation time and also I have baby #2 coming. Still, there are certainly areas for improvement…as always! Given all the goals and priorities and work, I know I need to be better about saying no to certain tasks and requests and setting better expectations for how much can get done at once. And in that vein, I need to keep reminding myself that perfection is not the goal…only progress. There is a lot of value in continuing to put one foot in front of the other. Since I’m in such new territory I need to keep leveraging my community and asking for lessons learned when it comes to the things I don’t know about, namely promoting a book and how to best manage two kids eighteen months apart. This will make the experience less lonely and confusing and also prevent me from reinventing the wheel. So, as I write this at 10:23pm on a Sunday night, instead of fretting over yet another night working until 11pm I am going to remember that I got to spend the last three days with my daughter and that was time I refused to compromise on. And more time with her is worth less sleep to me. I am also thinking about the number of people who told me this week that The Big Enough Company really made them think about their business differently. I also think about the fun I had in Chicago and how funny it was when we got a flat tire and later when I got lost in the parking garage. I think about how amazing the In Good Company community is and how much they have supported us. I feel so fortunate. I think about how grateful I am to do work that I love and that I can do it on my own terms – no matter how crazy they may be. All this makes me realize I am qualified to talk about satisfaction as entrepreneur because as hard as it is, I continue each and every day to strive towards the best formula I can. I know that it’s an ever-changing goal but I know I’m up for the challenge and, more importantly, confident in my ability to identify my needs and goals. I refuse to settle or give up anything important. I am uncompromising in my pursuit of work that works for me and all I want is the same for you. Sometimes I am fortunate to have moments of pure silence; it doesn’t happen regularly. Between running a full-time business, loving my new Husband and the proudly performed sounds from my precocious, Mommy-mocking two year old daughter, one can see why quiet times are NEVER. When I began Premium Public Relations World in August of 2009, I was in my last year at Tennessee State University. Because I was more concerned with creating the business, my main focuses were the logistics and legalities of the company. Now thinking back, I didn’t announce it or ‘launch’ it, I just sort of started. After graduation, I began to get the hang of things. I set up shop in my home-office and held down the fort full-time, working 16-18 hours a day; both on the business and in the business. I get excited just thinking about that summer of 2010, when I announced that we were going to revamp and breathe some new life into ourselves; we even hired an Executive Assistant!! As the transition from summer to fall took place, it occurred to me that we were in serious need of repositioning and rebranding. The longer I spent in the industry the more I saw changes that needed to be made in order to stay afloat and compete in the ever evolving marketplace. So our team began to prepare to make the change at the beginning of the 2011 year. We were rolling out a new website, branding materials, logo, and brand messaging, hosting our first seminar in Chicago and still working with our current clients. I remember vividly how our team would camp out in my living room, working 24hour days on a few occasions. We were focused!! January 1, 2011 our new brand was born; Premium World Brand Management, Where we teach, lead and challenge; our team our clients our people YOUR brand… IT’s A PREMIUM WORLD! Our new message was well received or profits sky rocketed. There was so much business, that we were on the brink of being filled to capacity! When a business is new, or in our case seems new, everyone wants to play a part and try it. This is normal when you start a business or launch a new product. This is an exciting time; it’s the pre-game, a celebratory experience. The adrenaline rush of it all keeps you up for 24hours at a time, working! I’m sure if you’ve ever been in a similar situation you can relate. The ascension and that peak that many entrepreneurs experience can be best visualized by thinking of a mountain hike. The climb is the fun part, but what happens when you have to descend? The mountain-valley paradigm is one that is experienced by independent professionals everywhere! The valley or the “dip” as Seth Godin describes it is common in every profession and necessary to experience success. In that “dip” we are met with resistance, self-doubt, fatigue and sometimes external opposition. Everyone who ever grew to great has experienced countless “dips” and been faced with unimaginable amounts of resistance. When you find yourself in a valley, be patient and counter that resistance with consistent pushing towards your goals and objectives. The constant opposition to the resistance will eventually offset it, creating enough momentum to allow you to climb again. Most entrepreneurs and independent professionals don’t make it through because of the “dip”. Today I challenge you to make a choice to continue on while looking forward to the next climb!! 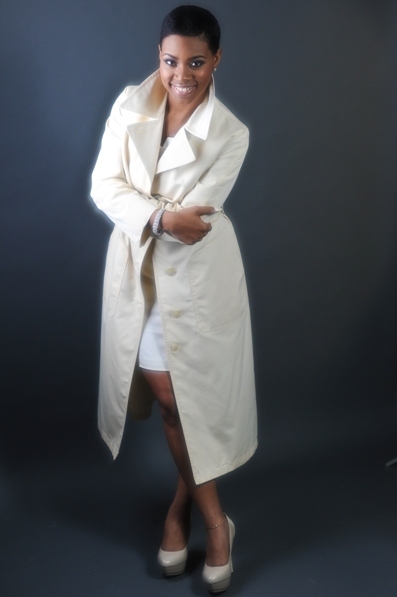 Miji Pearse-Hope is a new wife to a Memphis born foodie, her business partner and mother to Yoruba Princess. She is the founder of Premium World Brand Management, operating within the firm as the Principal Consultant. She works with entrepreneurs, independent professionals and small to medium sized businesses as a brand coach and advisor, assisting them with their brand’s design, position, perception and personality. To contact Miji for a consultation email her at miji.pearse@thepremiumworld.com. 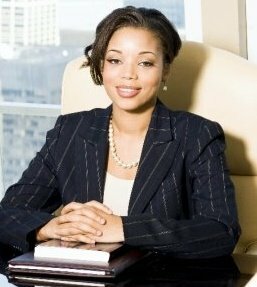 Dartesia A. Pitts is the principal of the Law Office of Dartesia A. Pitts. Recognized as a “Mover & Shaker” by NV Magazine and as a BOSS Influencer, she is an experienced Illinois trial and transactional attorney. She serves as the community’s primary resource for all things law related. Attorney Pitts’ practice areas include Real Estate, Intellectual Property, Business, Entertainment and Probate. However, she has a referral base of lawyers that can handle any legal issue that you may have. Attorney Pitts is a Chicago native. She grew up in the historical Bronzeville community. She attended St. Elizabeth elementary school and Holy Name Cathedral high school. After the Archdiocese closed Holy Name Cathedral, she finished her high school education at Lourdes on the southwest side of Chicago. Attorney Pitts attended Kenyon College in Gambier, OH receiving a Bachelor’s of Art in History. While at Kenyon, her senior thesis focused on the history of urban renewal and its affect on African Americans on the south side of Chicago. After graduating from Kenyon with the high honor of Distinction, she moved to Washington D.C. to work at the prestigious international law firm of Skadden, Arps, Slate, Meagher and Flom, L.L.P. in their Mergers and Acquisitions division. At Skadden, she played an integral role in the multi-billion dollar acquisition of a cable station by a fortune 500-company. Attorney Pitts received her Juris Doctor from Northern Illinois University College of Law. Recently, Attorney Pitts served as the legal expert for the show, Swift Justice with Nancy Grace, for all real estate disputes arising out of Illinois. Swift Justice with Nancy Grace is the #1 new syndicated daytime series and was nominated for an Emmy for Outstanding Legal/Courtroom Program. She looks forward to continuing to provide her expertise as a legal analyst or commentator in the very near future. Attorney Pitts is a very active member of the Cook County Bar Association where she currently serves as a Board Member. She is the immediate past chair of the Young Lawyers’ Section and the chair for the CAN-TV 21 committee. She is the recipient of the Presidential Award for her outstanding work with the Bar Association for both the years 2010 and 2011. In addition, she was selected and currently serves as a Board Member for CAN-TV (Chicago Access Network Television), which is one of the largest and most widely used public access TV centers in the country. Attorney Pitts is a true advocate for justice and innovator of the law in her community. She recognizes that her true purpose is to utilize her resources to ensure that legal information and education are accessible to the community that she graciously serves.